And the pictures that all of us have been waiting for are finally in! 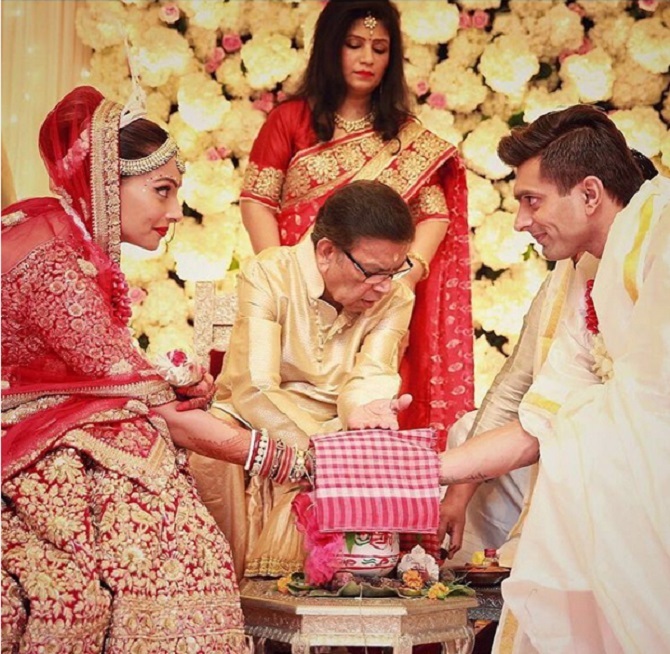 Here’s a glimpse of some of the most important moments captured on Bipasha’s big day! 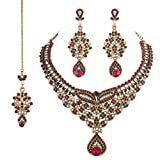 KhazanaCart Red Golden Color Georgette Semi Stitch Dress Material. 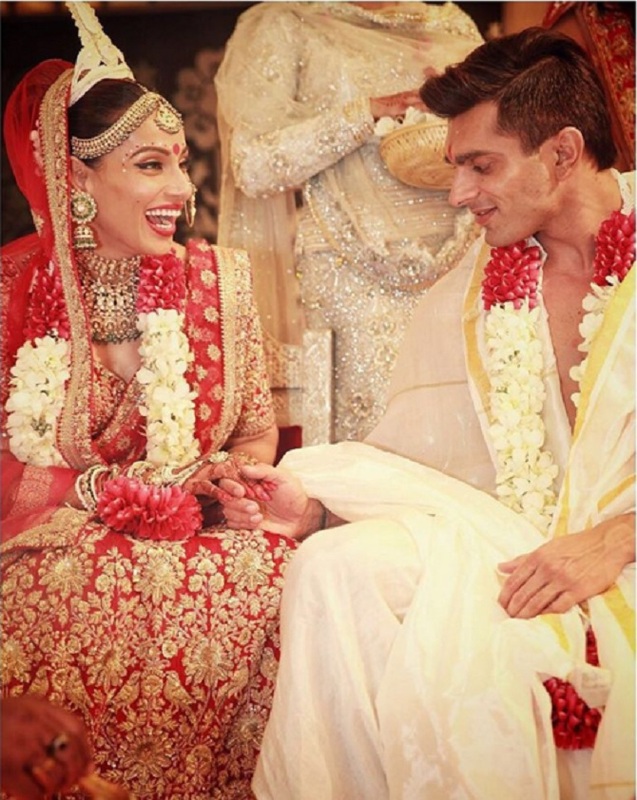 The day that Bipasha Basu and beau Karan Singh Grover had been waiting for arrived on 30th April. 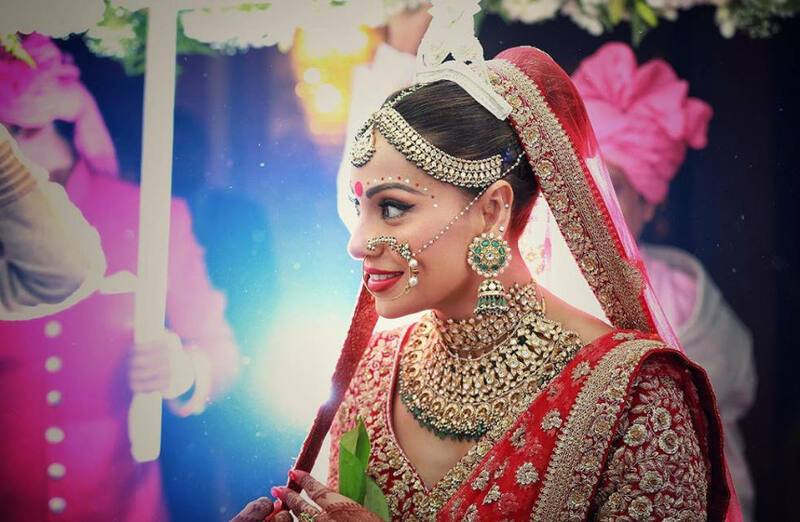 On this special day, she wore an outfit specially designed for her by none other than Sabyasachi Mukherjee. Her outfit is in red, white, and golden. 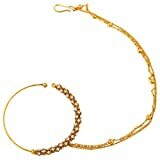 These colors are a perfect combination for quintessential Bengali bride. The detailed golden embroidery made her outfit completely grand teamed with an elbow length blouse. 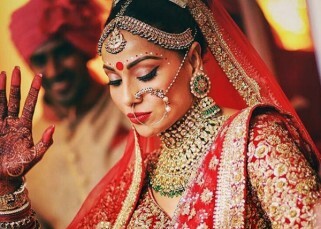 She selected light gold jewellery to compliment the outfit which consisted of a mang tika, jhumkas, nose ring, necklace, and the traditional red and white bangles, shaka and paula worn by married Bengali women. 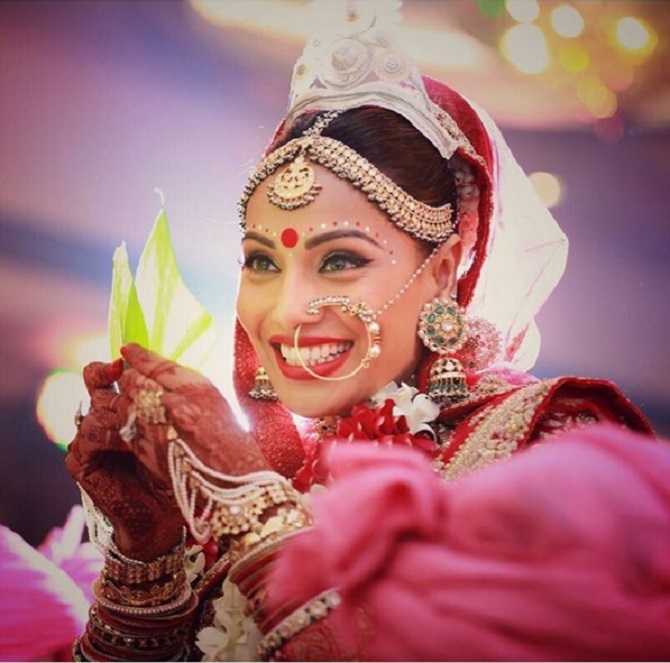 This is Bipasha’s first wedding while it is Karna’s third marriage. The ceremony was attended by close family members and friends. Later in the reception, the who’s who of Bollywood showed their support by making their presence felt during this function. 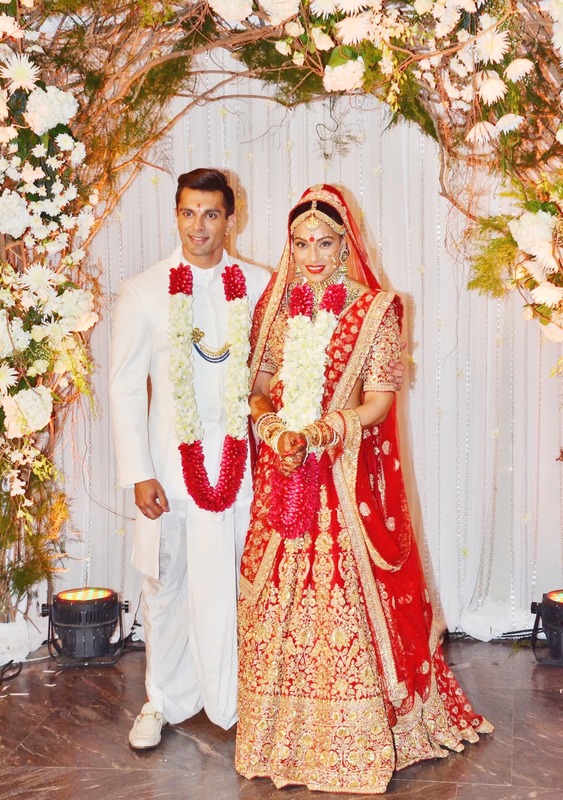 FashionPro wishes the couple a happy married life ahead!